I forgot to post my favorite February photo a day from the second half of the month. The first picture is with my cool new Nike shoes for running and where I run at the Tropicana Flamingo Wash Trail. The other picture is a picture of a cool artwork at the awesome Act Nightclub in Palazzo. It’s not upside down on the wall.. I just flipped it on the phone. Come follow me on Instagram. Banana Smile, a photo by Stimpdawg on Flickr. 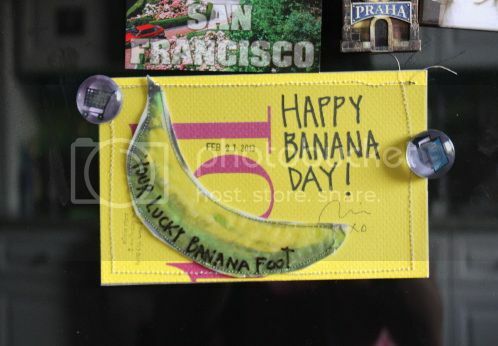 I got my first World Banana Day mailart from Alicia Starr from the BANANAS group on IUOMA. 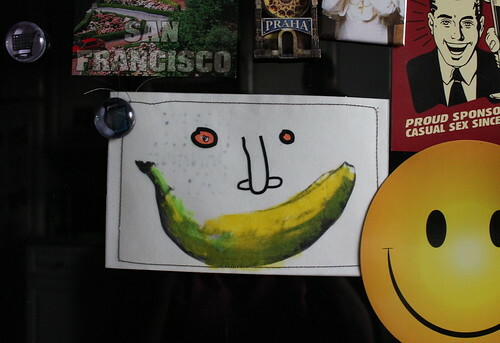 A cool banana piece that’s currently on my fridge. Pigtail River, a photo by Stimpdawg on Flickr. My first postcard from Barbara Becker from the Postcardx Revisited Facebook group. 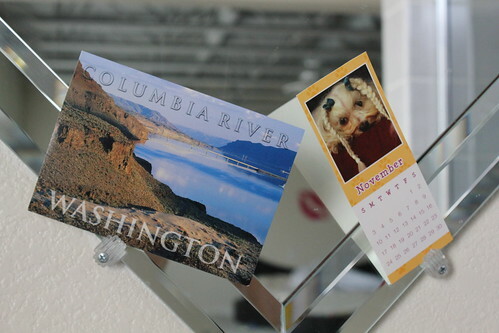 Barbara sent a Washington postcard since she’s from there. The cute calendar was created with a picture of her granddaughter’s puppy JoJo AKA Princess of Mischief. Day 1: Orange, a photo by Stimpdawg on Flickr. I’m doing Fat Mum Slim’s Photo a Day Challenge again. Here are two of my favorite photos from the first half of the month. 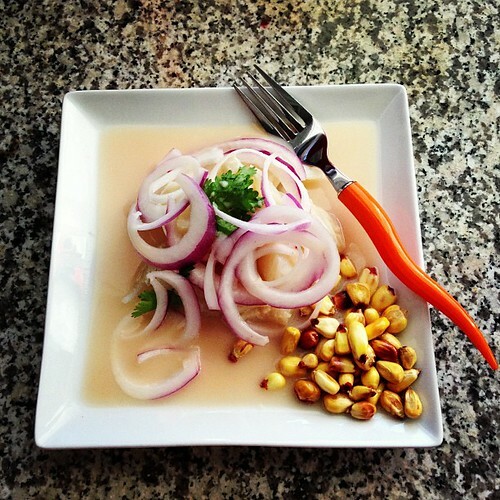 The first photo is Day 1: Orange – Orange Fork with Peruvian Ceviche. 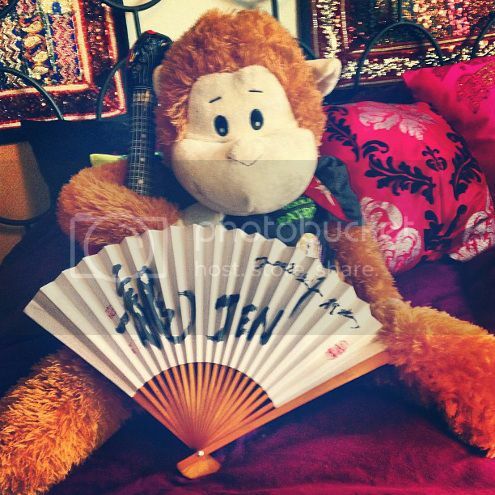 The other photo is Day 7: Your Name – My nickname on a fan that my husband Ivan bought me on our first RTW trip. Banana Art, a photo by Stimpdawg on Flickr. A banana a day will keep the doctor away. 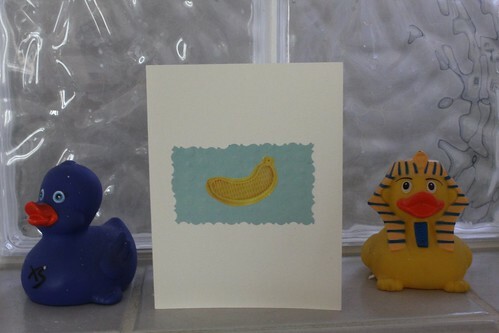 My first World Banana Day mailart headed to a member of the BANANAS group on IUOMA. Valentine’s Day cards, a photo by Stimpdawg on Flickr. Made a few Valentine’s Day cards for my friends. 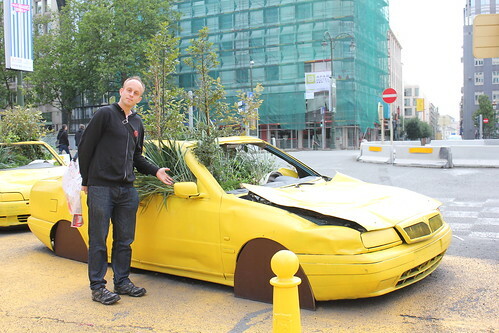 Ivan and the yellow car, a photo by Stimpdawg on Flickr.